What do I need to do to sell my house in Cleveland ? We buy houses in Cleveland companies – are they credible? Can I sell my Cleveland house in foreclosure? 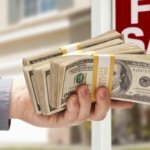 How do I sell my house without an agent in Cleveland?